Feis Ile 2015 is well underway and Fred Laing and the Douglas Laing crew hosted a few whisky tastings on the magical island of Islay these past few days. 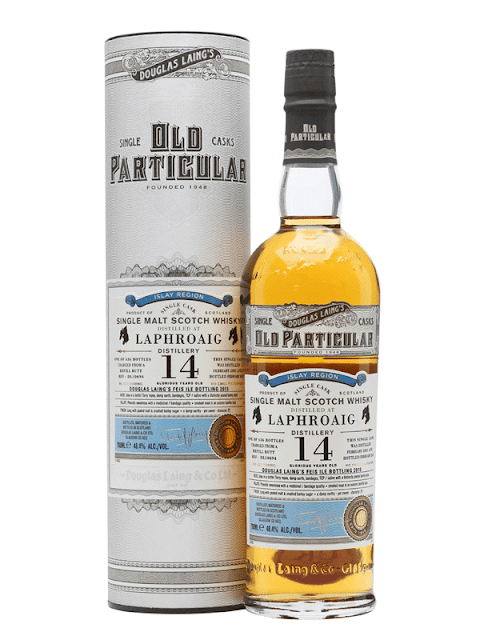 To commemorate the Festival of Malts and Music they released a special Feis Ile whisky: a single cask Laphroaig bottled under the Old Particular label. Enough chitchat, let's have a look at it! Colour: A nice golden barley hue. Slow legs form on the side of the glass if you are patient. The liquid is pretty sticky and leaves small beads on the glass. Nose: There is no need to stick your nose deep into the glass. 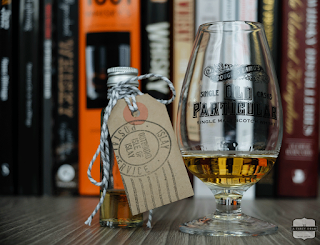 A few seconds after pouring a glass, the room fills with a stunning (and very Laphroaig-like) perfume. The signature peat and tar are hard to be missed. A mixture of mashed raspberries and soft Haribo bears. Sweet eucalyptus and another Islay trademark fragrance: bandages and antiseptics. After a while, I'm getting more earthy aroma's like wet potting soil and heather. And there's a faint hint of dark chocolate and nuts. A few drops of water reveal some juicy blood oranges to me. Taste: The mouthfeel is oily and warm. Toasted wood and bandages. Sweet red fruits and a slightly salt note of seaweed. Again those earthy flavours from the peat. Lemon preserved in salt. Water gives me an extra boost of peppery peat and a peach-like sweetness at the same time. Finish: Salty lemons, smoke, eucalyptus and wood ash dominate the long aftertaste. It almost screams: more please! Price: £89 / €125 and up. Picture: The Whisky Exchange A sample (and a bunch of goodies) was provided by the kind folks of Douglas Laing. Thanks Jenny! 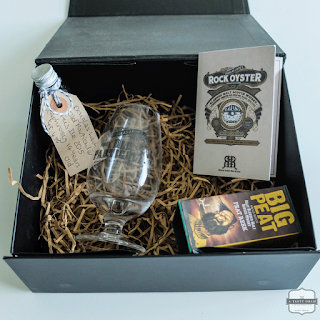 some Big Peat peat cones and a Rock Oyster cocktail recipe booklet. Great mouthwatering review. Wonderful, another whisky I MUST have. When will it stop? I absolutely love Bandages, Seaweed, Tar, Salt and Lemons. 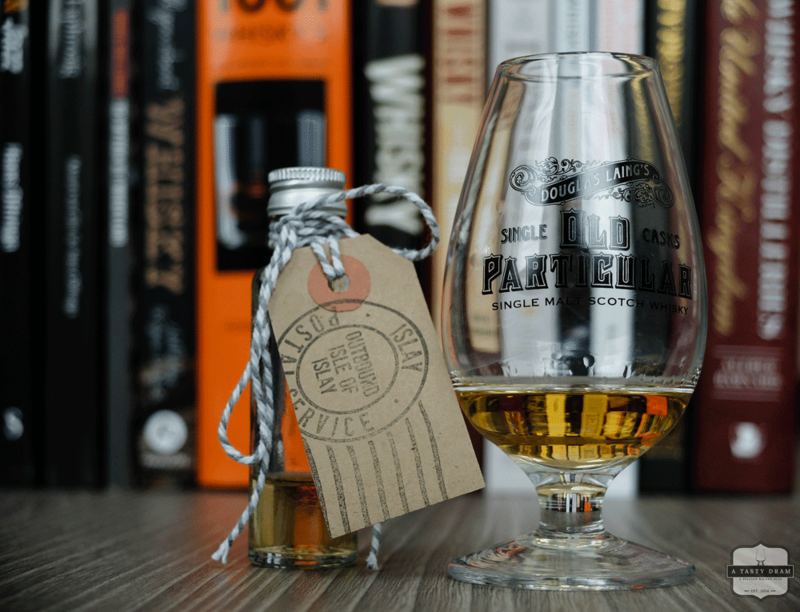 Isn't it great how Peaty whisky descriptors are so polarizing. Yum. I always wanted some peat cones too. Can you burn them inside or is it too intense?